I was trolling the internet after hearing someone talk about a baker who runs an operation out of his house. To me this sounds like it would be a booming biz in Montreal but no it’s in Ottawa. Go on? Some clandestine bakery selling macarons and croissants in Ottawa? Must. Find. Bakery. Well thanks to Apartment613, who gave me the website address, I grabbed my keys and drove to Booth Street. Now it was sounding more Montreal to me. Drive down a virtually unknown street in the middle of Ottawa for pastries? Hey I’ll do anything for a flaky, delicate and buttery accompaniment to cafe au lait. The sign outside was delightful. Macarons et Madeleines is run by a Cordon Blue pastry grad, not some fly by night dude randomly setting up a home based business. The inside calm and simple with a gorgeous kitchen and a tray of the most delicious creations of the day. I immediately knew that a brioche and croissant were in my future. 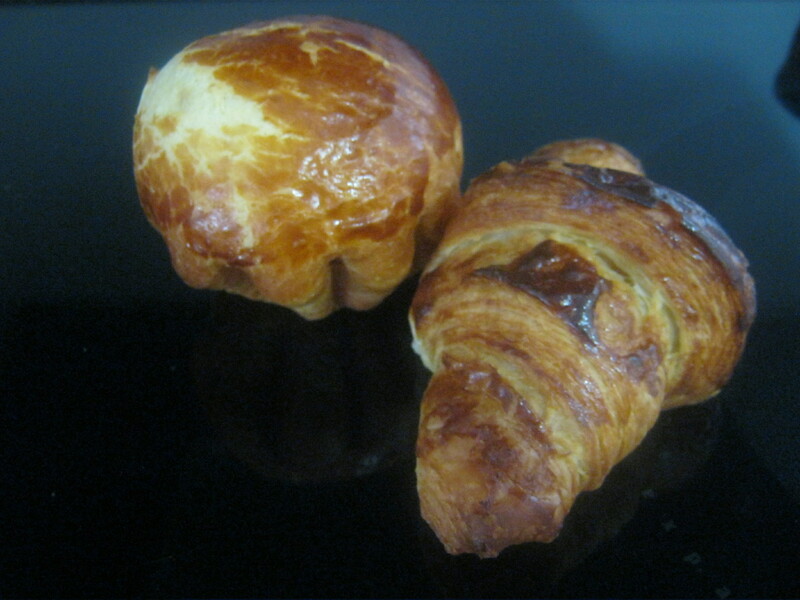 The croissant is the absolute best I’ve tasted in Ottawa so far. Very French in style, flaky and delicate looking but that first bite was butter and richness, needing no condiments at all. The bones of a proper boulangerie is brioche and trust me when I say I’ve seen some awful ones made by excellent chefs. This brioche is an inviting golden brown and there wasn’t an overcooked top in sight. I paired it with gelee de cassis and it was sublime. Buttery and rich it’s middle revealing delicate bubbles from proper handling and baking. I am truly impressed and so thankful that this little piece of France is right here in Ottawa. The bakery opens at 7:00 am and closes when it’s all gone.